Platform: Xbox One, PS4, PC. 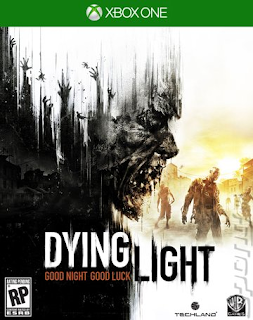 Dying like is an open world Zombie RPG game from some of the creators of the Dead Island series. 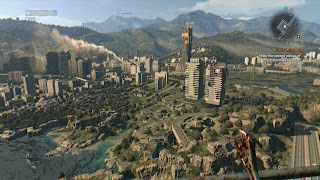 It is honestly almost exactly like Dead island but with a bit more of a serious feeling to the story and atmosphere, updates visuals and parkour....yes parkour. Without giving out to much of the story you are basically an agent who is trying to find a doctors research to a potential "cure" for the virus. It turns out they did not want the cure to actually help people but to use it as a weapon which is discovered fairly early on in the game. 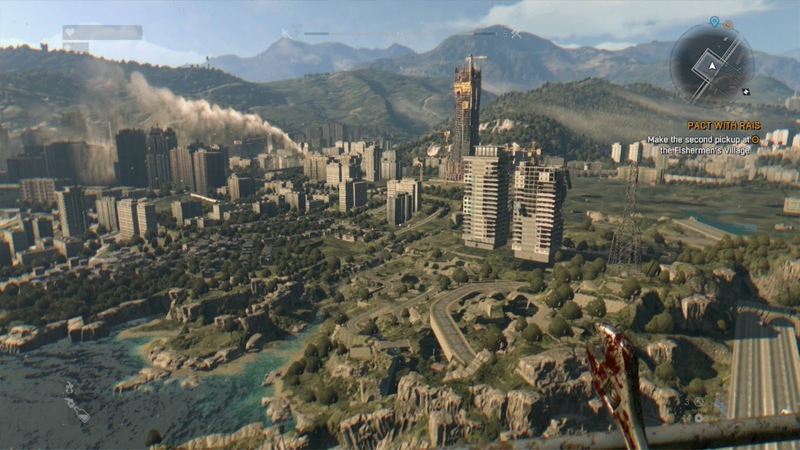 Dying Light has some interesting game mechanics that keep the game from going stale to fast. You can craft unique weapons, items, explosives and other useful tools in order to get passed the hordes of zombies. During your exploration you will come by Safe Zones which are always filled with zombies. Safe zones are all the same where you clear the area of zombies and turn on all the power to the safe zone. You can now use that safe zone as a fast travel or resting area. One thing that would have been useful in some of the safe zones would be the ability to repair your weapons you are currently using or a way to buy parts to repair the weapons. To many times my weapons would break and I would have to struggle to a safe zone. Another interesting mechanic is night time. When the sun goes down you will get a warning on your radio to seek cover or to make it back to the home base. 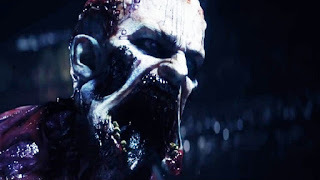 At night time the zombies become more active and these super zombies come out to play. If they see you walking around they will attract other zombies in the area and chase you done. These are very fast and will catch up to you if you are not careful. Interesting mechanic but the day and night cycle last to long making me wait or walk very slow in this massive open world so I am not discovered. 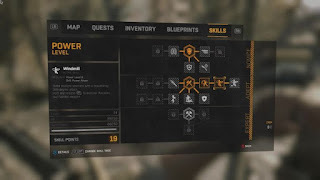 I do appreciate the fact that Dying Light's open world is very big with lots of events, side quests, and Easter eggs to discover. Another issue I had was some of the quests felt very repetitive making you go through areas and tunnels that you've visited multiple times before which made it get boring real fast actually making me want to complete the game that much faster. The story is rather dull to be honest and doesn't do that great of a job with developing your emotions towards any of the players. There were maybe two instances where I felt a bit of emotion and one time where it was an adrenaline rush to escape but it didn't last to long. The co-op is a nice feature where you are able to open the game to anyone or your friends. I enjoy the drop in and out system where you can join your friends or other people whenever you'd like and you get to keep all experience and items earned during the co-op session. Skill Tree. Lots of different skills. In conclusion Dying Light feels the same as Dead Island but with a couple of small thing added in to make it feel fresh and with a bit more of a serious atmosphere. If you are a fan of Dead Island then you will probably enjoy this game as well. I personally was not thrilled for Dying Light and stopped playing immediately after i completed the game. About up until half way through the game I actually did explore everything and do as much side quests as I could but it got boring and repetitive really fast. Good attempt but it could have been way better. I'm glad you felt the same way I did about this game. I was expecting a lot more than what was delivered to me. I did think it was somewhat fun but in reality I think most of it had been done before and that sort of turned down the appeal for me.